Don’t you just love the way your classroom looks at the beginning of the year? Fresh paint on the wall, clean floors, new bulletin boards and those new name tags! Then, about October, the shine starts to fade and those name tags start losing their charm. Tattered edges, peeled corners, pen marks, and holes! I’ve tried laminating them, putting them in special (and expensive) name tag pouches, Velcro and contact paper. But, no matter what I use, by the end of the first quarter they’re falling apart. My solution this year? New name tags every month. 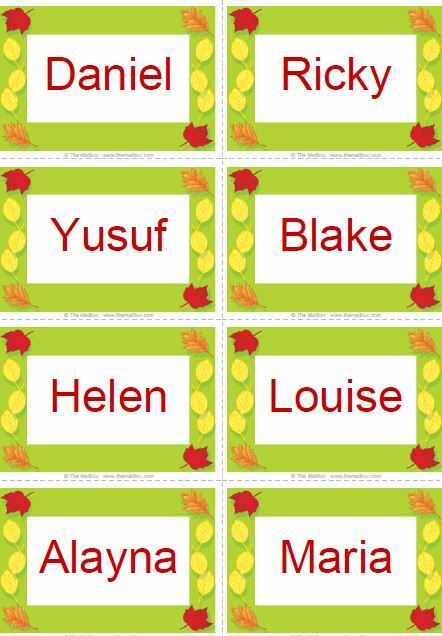 With the Mailbox Gold toolkit I can make them as quickly and easily as I can type in the student names, pick out a seasonal border, press print and “ta da” fresh new name tags. It’s just one of those things that I know will make me and my students happy every month and keep things fresh.